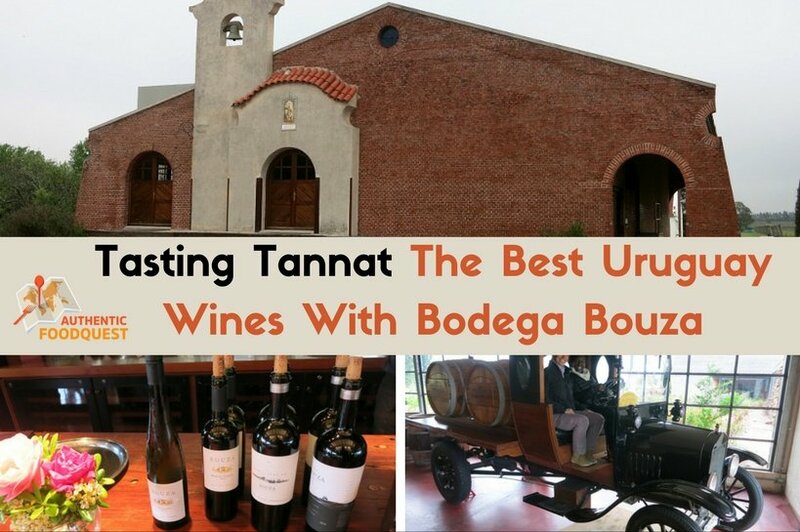 Tannat is the signature grape of Uruguay wines, and is to Uruguay what the Malbec is to Argentina. Given our quest to experience local authentic specialties from around the world, getting to know this special Tannat wine was high our list. Tannat grapes came to South America from south of France in the 1800s and have prospered in the unique South American climate. 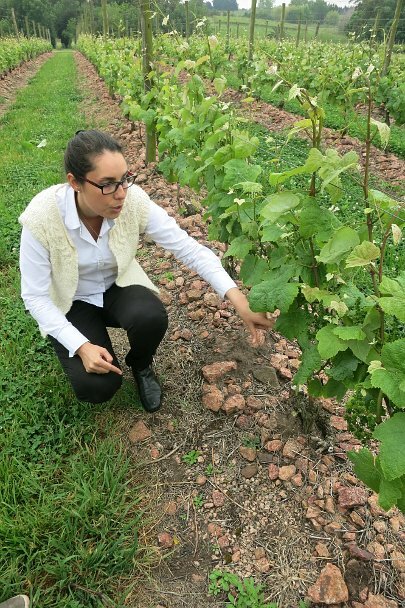 We had tasted Tannat for the first time in Cafayate, Argentina and were eager to taste the national wine of Uruguay. Complements of Uruguay4u we had the opportunity to visit a bodega (winery) on the Uruguay wines roads called Bodega Bouza. The visit included a guided tour of the bodega followed by a tasting of Uruguay wines with cheese and charcuterie. Also included was transportation to and from our hotel. As we were staying at an Airbnb, we were picked up at the closest hotel near where we were staying which was just a 5-minute walk away. The pick-up time was set-up for 10am with the visit starting at 11am. 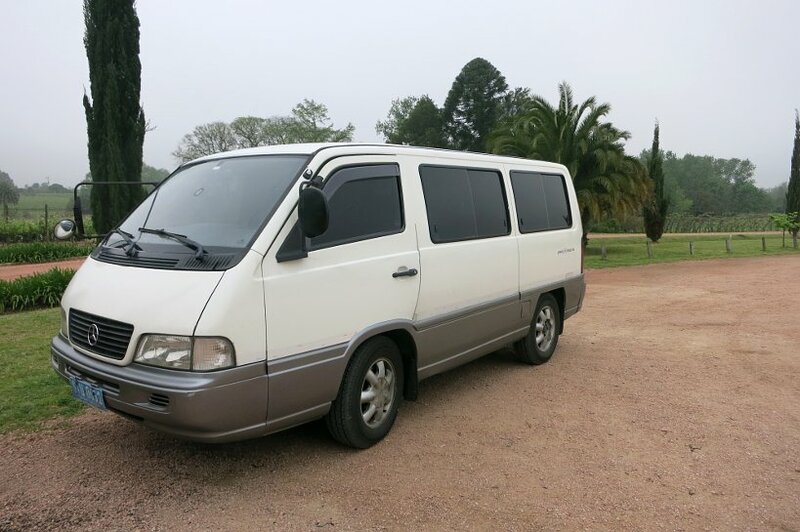 Our driver, very punctual, came with a large van to take us to bodega Bouza. Bodega Bouza (pronounced BOW-zah) is located 17km from the South Ramblas (Puntas Carretas) of Montevideo and it took us no more than half hour and an easy ride to get there. We were welcomed by the hostess who invited us to explore their store or sit in the comfortable lobby of the restaurant while waiting for the tour to start at 11am. With half hour to spare, it gave us sometime to get familiar with our surroundings and take few pictures ahead of time. Right away Bodega Bouza felt like a very warm, comfortable and inviting place, managed by a very well organized staff. The dining room was already set up for lunch while the kitchen was buzzing with activity. For a minute we wondered what it would be like to stay there for lunch, as our tour with Uruguay4u was planned for a tour and wine tasting. As we were walking around, more people came to join the guided tour and after few minutes, the place started bustling with about 25 to 30 people waiting with anticipation for the tour to begin. 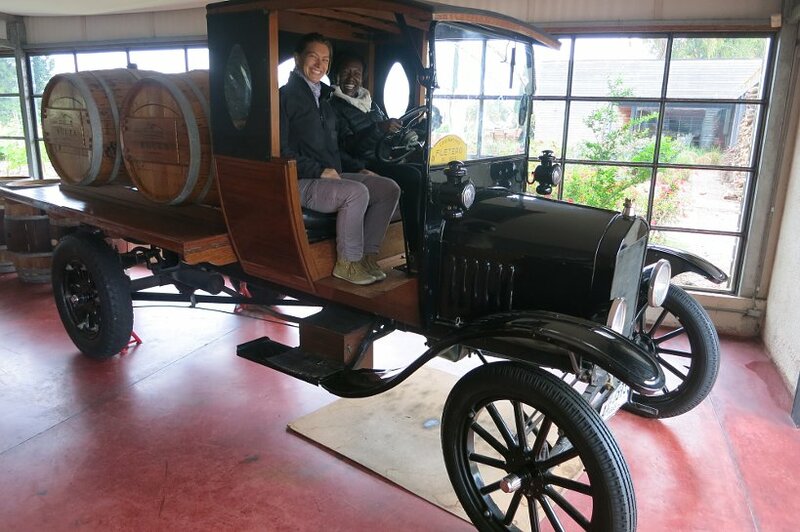 We definitively felt that we had made the right choice to come visit such a popular winery. At 11am, people gathered around the guide and with most of the guests speaking Portuguese or Spanish. Not speaking either, we were ready to be part of the group and accept the fact that we would do our best to follow the tour in Spanish. This is when the guide turned to us and asked us if we would be ok with Portuguese or Spanish, or if we preferred to have the tour in English. We voted for the tour in English, and to our surprise, she asked another colleague to give us a private tour in English. 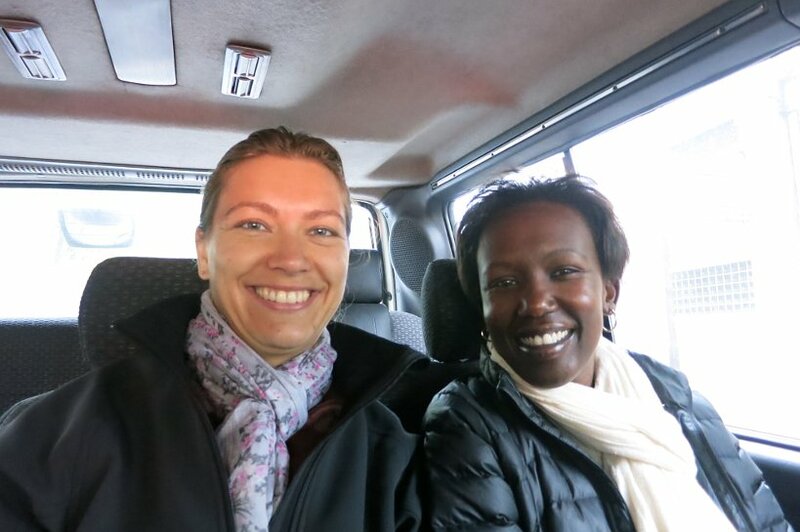 That is how we met Lucia who became our private tour guide! We were happy to leave everyone behind and excited to be able to ask all our question about Tannat, the famous wine of Uruguay. Lucia was very welcoming and knowledgeable and directed our tour in a perfect English. 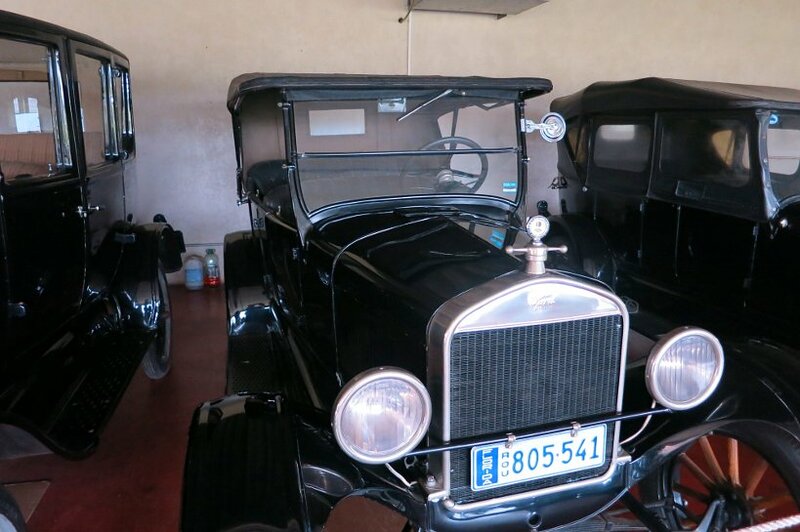 The tour actually started with a visit to the private collection of 30 + antique cars and motorcycles that belong to Mr. Bouza, the owner of the bodega. The collection of antique cars is quite impressive. Old Ford Ts’, Citroens’, Italians’ and Germans’ car. 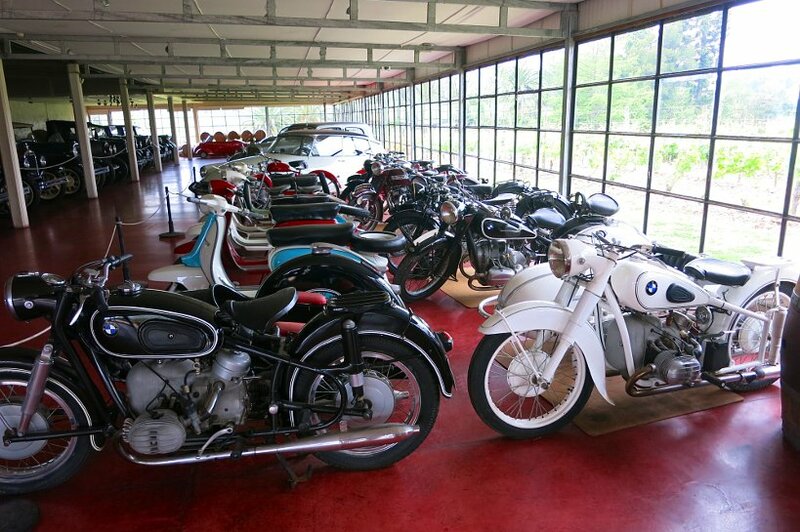 Two- wheel drives and motorcycles including old BMWs from WWI and from WWII. The cars were shiny and Lucia told us that all cars are maintained in perfect driving condition with a mechanic coming in twice a week to maintain them. No wonder why they looked so clean and in mint condition! We voted to try out the old pickup truck carrying the wine barrels. 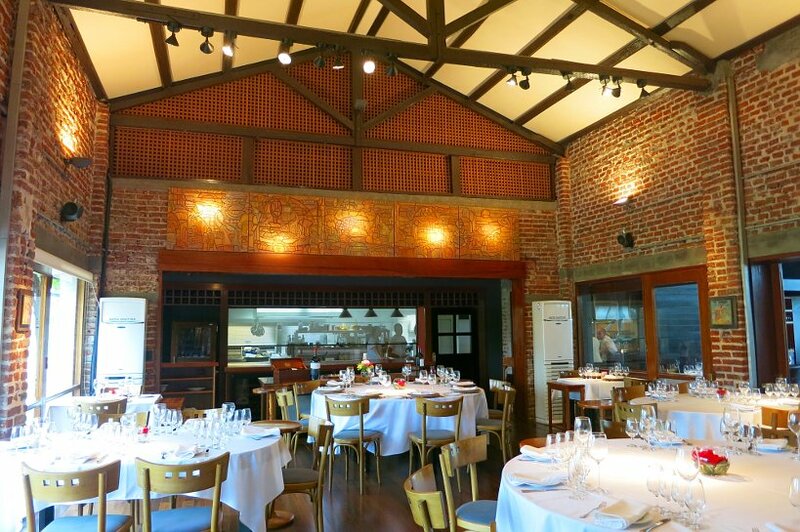 Bodega Bouza, a boutique winery and is one of the most popular bodegas in Uruguay. 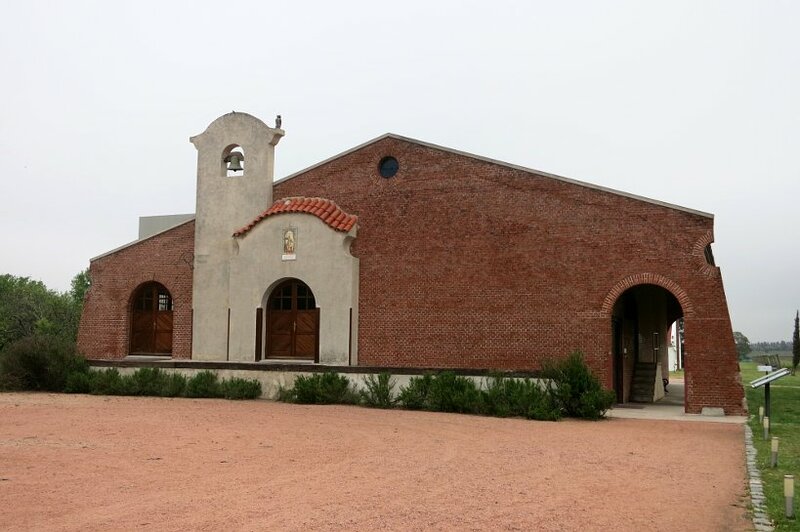 Started in 2001 by Mr Bouza, after restoring the original bodega (previously owned by a Spanish family) that was built in 1942. Mr. Bouza is passionate about Uruguay wines and this is not his primary business as he is a successful entrepreneur who launched a bakery company now popular across Uruguay. After talking about the history of the bodega and Uruguay wines, we went to look at the Tannat vines on the property. The grapes are grown without using pesticides and the unused grapes are used to fertilize and nourish the soil. 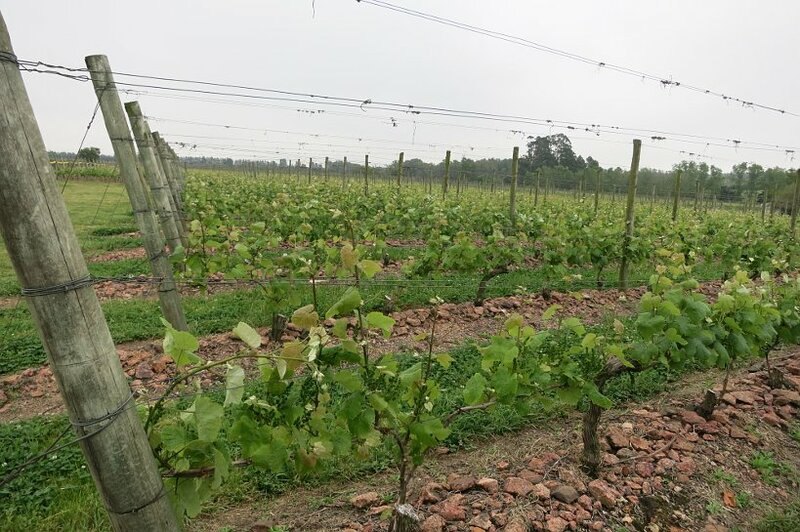 The vines are also spread about 2 meters apart to allow the grapes to get the maximum sunlight which reinforces the flavors and ability to get great quality wines. The main types of grapes grown at the bodega are: Albariño, Chardonnay, Merlot, Tempranillo, and Tannat. The new vines of Riesling and Pinot Noir, at the time of visit, had are not yet hit the market. 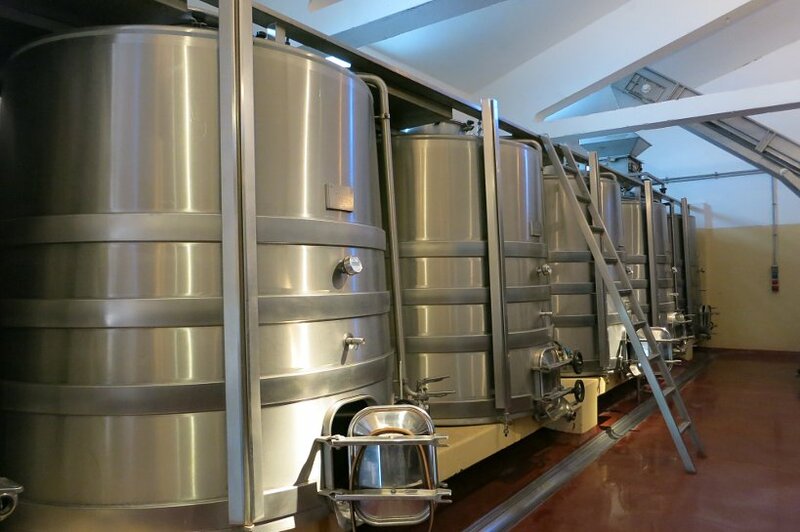 From there, we went to the fermentation room where the grapes are sorted and then transferred into either concrete, metal and oak barrels regarding the type of wine and the quality of wine desired. We visited the aging room which is air conditioned at 14 celsius. This where the Uruguay wines are aged in French or American barrels and surprising, Chilean barrels as well. Other wines are aged in bottles. Underground, the bodega stores bottles for each vintage which are kept preciously as a reference point for each new vintage, and to keep track of how the wines are evolving. After this enjoyable and insightful visit, Lucia directed us back toward the restaurant for the degustacion or tasting. 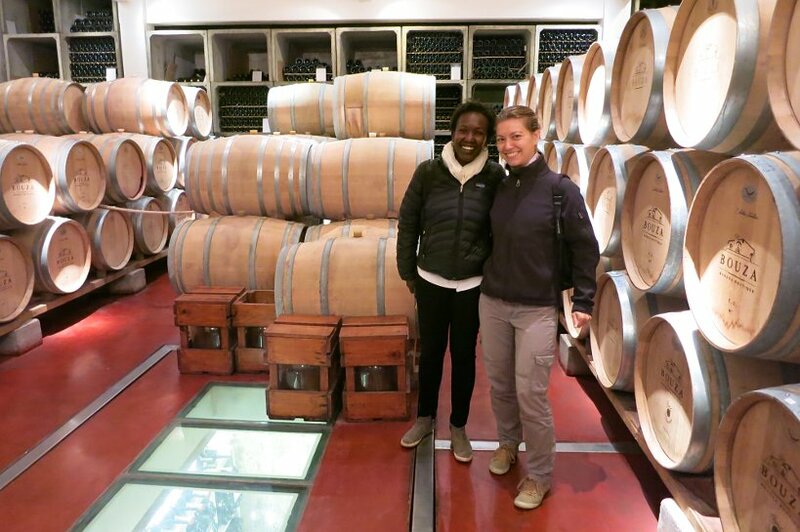 Needless to say that after this amazing visit, we were curious to taste Uruguay wines. So let’s begin! First, everyone was seated at a table in the restaurant for the degustation. We were directed to our table which was reserved and ready for us. The table was well presented with glasses lining up and a nice flower as well as the plate of cheese and charcuterie waiting for us. 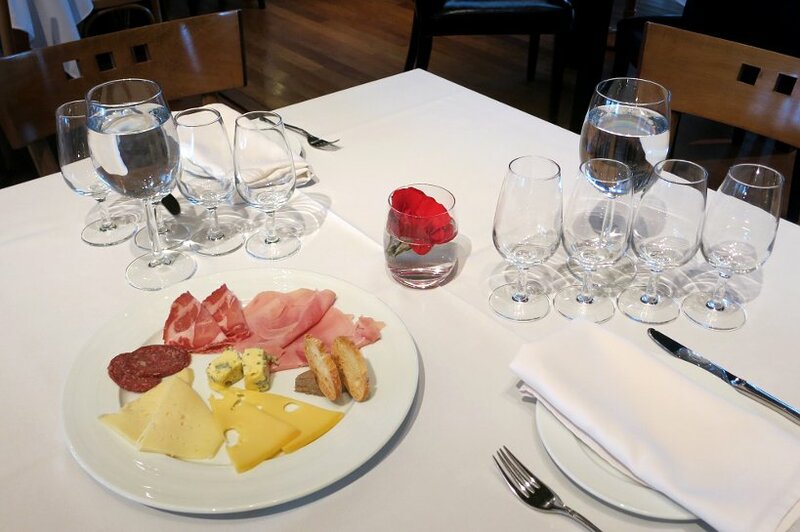 The sommelier, Juan Alvarez, had selected four Uruguay wines for us to taste starting with the white wine Bouza Albariño. 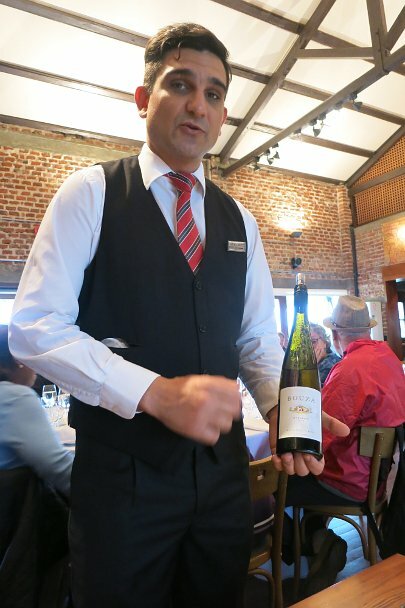 He personally came to our table to serve and tell us a little bit about the wine we were about to taste as well as the type of cheese and charcuterie to eat that would go along with the wine. We had never tasted the Albarino wine before and we found it very fresh and fruity though a bit dry. As Lucia was guiding us through the visit, she mentioned the special wine made at the winery called Frutilla. 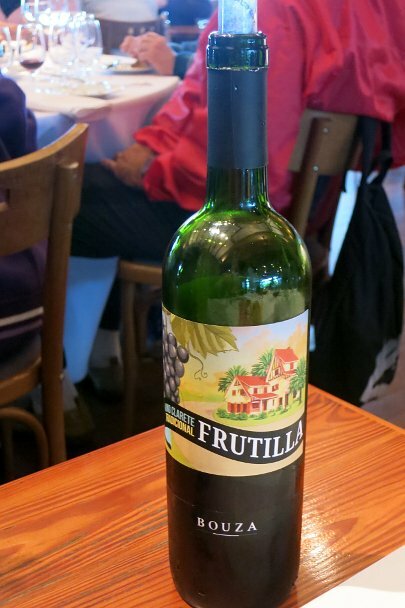 This type of wine is rooted in the Uruguayan culture coming the traditional way families would make their own wine. 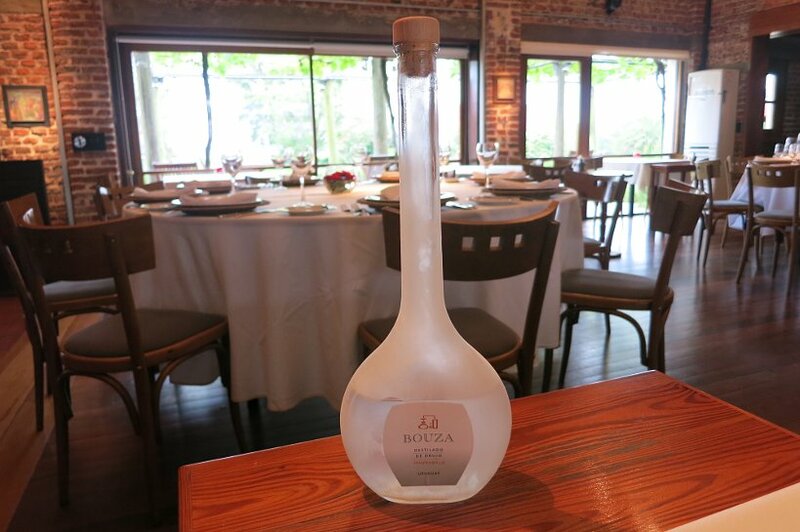 Bodega Bouza makes their own Frutilla which is a young wine made without full fermentation and spends only a few months aging in the tanks. It is also called Clarite, as it is very light in color, not really a red wine neither a rose. 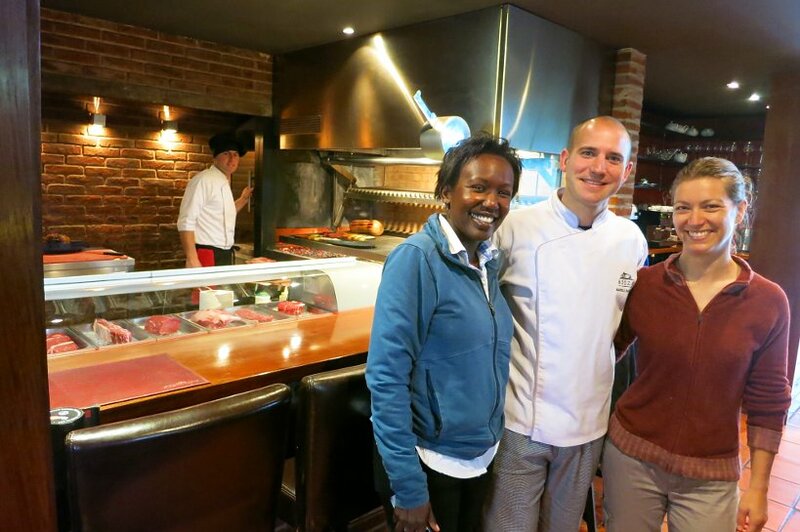 We also had the chance to meet with Marcelo Garcia, the Chef at Bouza restaurant. He gave us a quick tour of the parilla (grill) while sharing the differences between grilling meat in Uruguay vs. Argentina. 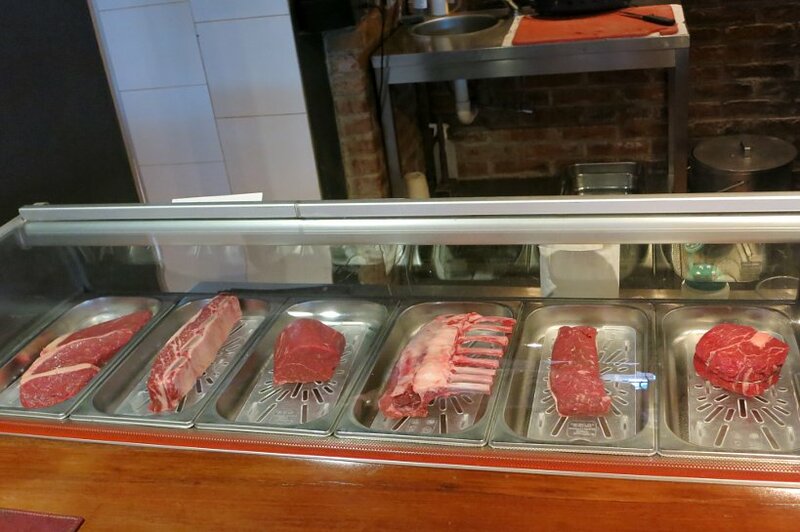 We were impressed at how clean the parrilla was and the juicy fresh cuts of meat that were waiting to be cooked. He explained the different cuts of meat and mentioned that he would have us try some. We went on to taste three other different red wine. The first one the Merlot Tannat,which was easy to drink though felt still very young. Then we went to taste two of the best wines and exceptional wines from the from the winery. Bouza Monte Vide Eu 2013 which was a blend of Tannat, Merlot and Tempranillo. This is a unique blend of grapes from the winery. We really enjoyed this wine and found it round, rich and very flavorful with or without food. 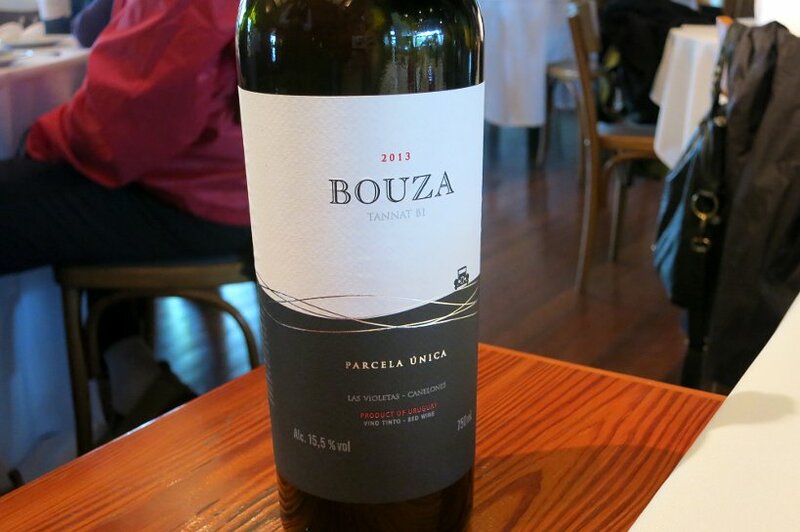 The highlight of the wines was the Bouza Tannat 2013, Parcela Ûnica (coming from a unique parcel). This wine though strong and full bodied was surprisingly smooth and easy to drink. Simply the best Tannat we have ever had. To our surprise, this is when Chef Marcelo came with a piece of molleja (sweet bread), grilled to perfection, in order to accompany our Tannat. What a delight! After such a treat, and after having finished the delicious plate of cheeses and charcuterie. We felt like our lunch was well underway. This is when Juan Alvarez came back asking us what our preference was on the last two wines. I chose the Bouza Tannat 2013 while Rosemary chose the Bouza Monte Vide Eu 2013 . Juan surprised us with two full glasses of our preferred wine. Nice treat! 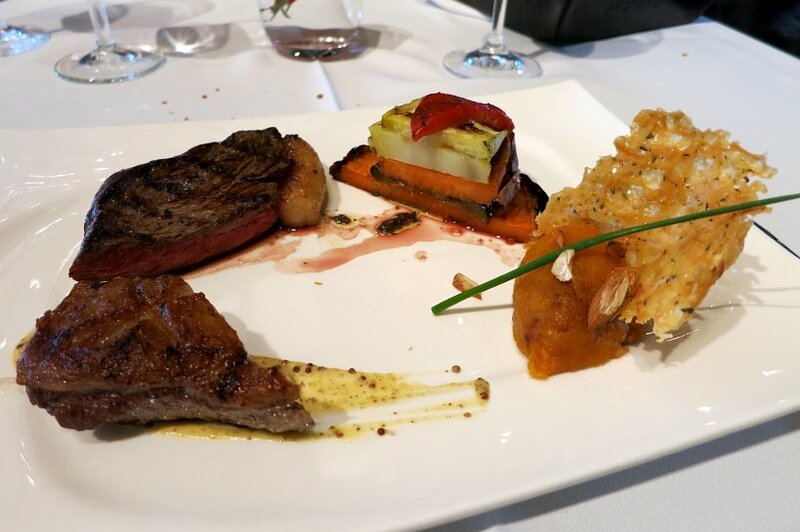 But even more surprising to us, he also served us two full plates with two pieces of meat; Picanha (also called top sirloin cap in the US) of beef and lamb, with sides of pumpkin puree and grilled vegetables, served like we were their customers for lunch. 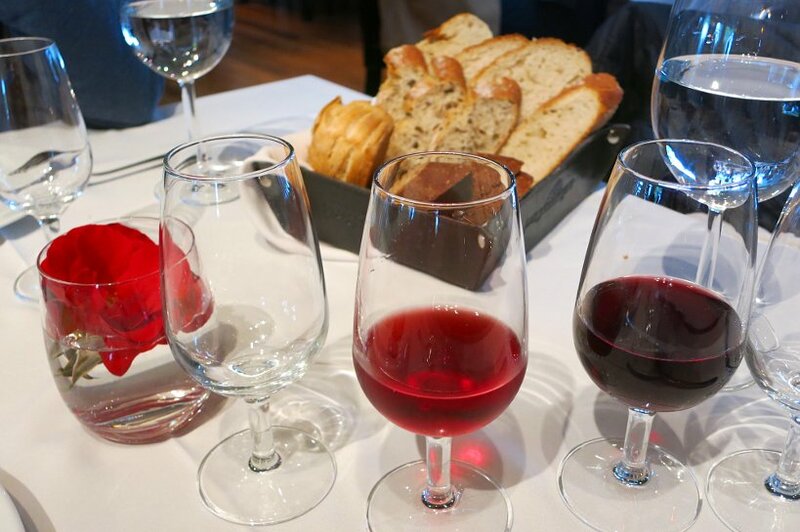 Finally, after such a surprising meal and delicious tasting, we were offered the local grappa to digest our meal called Bouza Destilado de Orujo – made from Tempranillo grapes. Quite a strong and burning alcohol that I am sure helped us to digest our meat intake that day. Our driver had to come back twice to pick us up as our tasting ended up being a little longer than expected. He brought us back safely to the same location he had picked us up. We have only one word to say: What a fabulous tour!!! We will have long memories of Uruguay wines tour and tasting. Definitively one of our best experience at a bodega overall. The personalized and organized transportation allowed us to relax and really enjoy the experience without having to worry about driving. We would highly suggest taking transportation so that you can get the most out of your experience at the bodega. We highly recommend this tour on your next to Montevideo. The organization and personalized tour organized by Uruguay4u.com makes for a rich experience. Bodega Bouza is definitively one winery that should be on your list. It’s close to Montevideo, and the wines are exceptional. 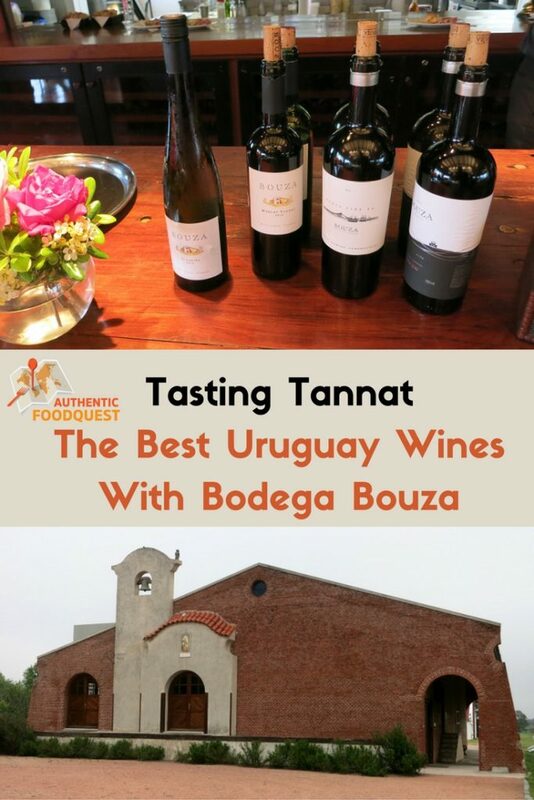 The Tannat wine is the best Uruguay wines we have ever had. 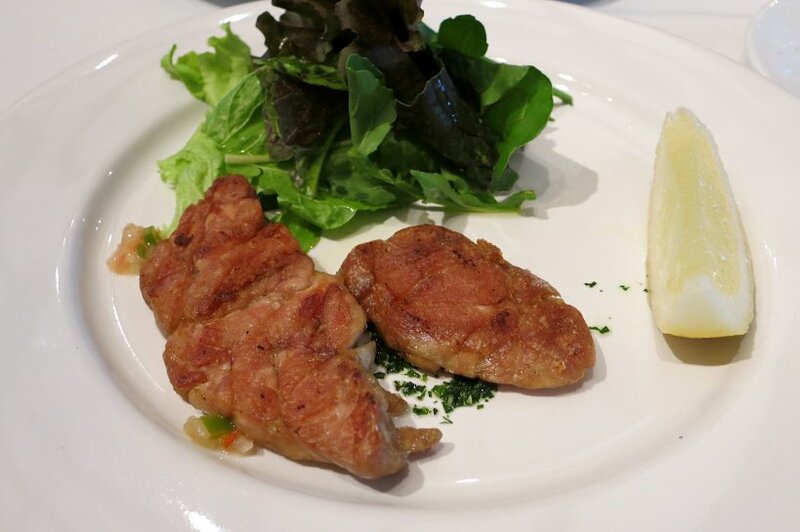 Make sure to stay for lunch and enjoy outstanding dishes. While we were unsure what a morning wine tasting would be like, we found it to be perfectly synchronized. The tour starts at 11am and lasts for about one hour meaning you will be eating at about lunch time. 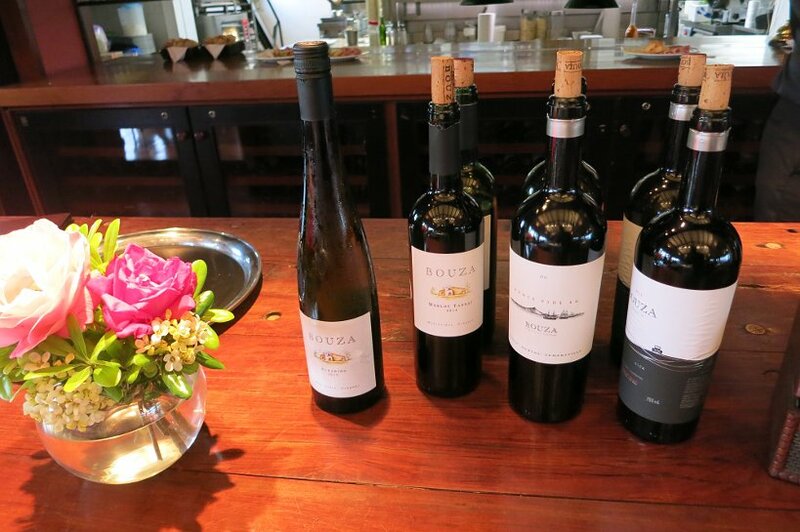 One great thing to know is that if you choose to have lunch at Bodega Bouza, your wine tasting will be free. Bodega Bouza Cno. de la Redención 7658 bis, Montevideo, Uruguay. Check the bodega bouza website for the latest information on wine tours and restaurant hours. Special thanks to Uruguay4u.com for organizing this tour for us. All views and opinions expressed are our own. Full belly and happy taste buds as well. Disclosure: please note that some of the links might be affiliate links. If you purchase tours through our website link, we will get a small commission at no cost to you. We only recommend products and services that we use and that we believe will be useful to you. Thank you in advance for your support! I am so intrigued by your blog! 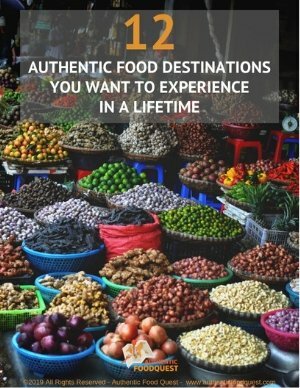 Food and traveling are definitely my two favorite things. I’ll definitely stick around. I also nominated you for the Infinity Dreams Award! Hop over to https://yoursjuliet.wordpress.com/2015/11/05/infinity-dreams-award/ for the rules and questions. Hi Juliet, Glad you found us and thanks for your interest in our blog! We greatly appreciate the nomination for the Infinity Dream Award. Thank you! We will check out the link and connect with you. Enjoy! Looks like you like it very much….isn’t it? Happy to note that you enjoyed the article Francois. We indeed had a great time at Bodega Bouza. It is worth visiting and an experience that we highly recommend:). Salve, complimenti per le vostre esperienze molto ben trasmesse. Volevo solo dirvi che il nome della pietanza servita ( Chef Marcelo came with a piece of mojella (sweet bread), ) NON si chiama “mojella”, si chiama “molleja” che è una ghiandola del manzo, molto tenera e saporita fatta alla parrilla. Thanks Victor for your feedback. We have made the change 🙂 We had a fabulous time at Bodega Bouza and we highly recommend the experience to others. Thanks for your feedback! The wine tasting at the Bouza bodega was par of a tour and we were expecting 5 glasses and some cheese. We were quite surprised that it was a 5 course lunch and both the food and both were excellent. We bought a bottle of 60/40 merlot/tannat to take back to the ship to drink, as it was our favorite. Even paying the corkage fee, it was less than what the ship charged. Great place to visit.